In the years since the global financial crisis of 2008 engulfed the world and the United States fell into the Great Recession, the panic has subsided and Western economies have recovered to varying degrees. But the downturn's effects have proved profound and lasting, and serious risks persist for the global economy. The recovery has been slow, inflation levels remain below the targets set bycentral banks, and total debt levels are much higher than before the crisis began. Worst of all, at least two dozen countries--some with developed economies, others with emerging markets--find themselves either at or very close to the so-called zero lower bound, meaning that their short-term nominal interest rates hover around zero. At the zero lower bound, central banks struggle to stimulate growth, since the simplest way for them to do so--dropping interest rates even further--becomes nearly impossible when rates are already (almost) as low as they can go. The U.S. Federal Reserve has recently begun to raise interest rates because the American economy has sufficiently improved, a step that has moved the United States slightly away from the zero lower bound. But Japan, the countries of the eurozone, and many others are still stuck with weak economies and interest rates at or close to zero. Central banks have already applied almost every traditional policy tool, as well as some unconventional and even radical ones, and yet economic outlooks everywhere remain uncertain. In a sense, then, the global economy is traveling without shock absorbers. Another downturn--even a relatively ordinary one--would require central bankers to once again turn to experimental and seemingly risky monetary policies, as they did in response to the financial crisis. Traditional tax cuts and spending packages would help but would likely prove insufficient: debt is already very high, and intense political opposition to increasing it exists in many countries. Many investors, and even some economists and analysts, have grown complacent in recent years as the global economy has continued to recover. But history suggests that no one should get too comfortable. Since World War II, the U.S. economy has fallen into a recession every five years, on average. The longest measured U.S. economic expansion lasted ten years, from 1991 until 2001. The current round of growth has already lasted almost seven years--so even if it matched the previous record-holder, it would still end sometime in 2019. Of course, records can be broken, and U.S. economic history is not necessarily definitive; Australia, for example, has avoided a recession for nearly 25 years now, and the Netherlands racked up almost 26 years of growth before 2008. But if historical patterns hold true, a recession (lasting at least six months to a year) will probably hit the United States before 2020-and given the central role the country plays in the world economy, the slowdown will likely become global. Should it arrive, such a recession, coming hard on the heels of the anemic recovery, would strongly suggest that the current stagnation is secular--that is, indefinite--rather than merely cyclical or temporary. So rather than moving past the crisis and into a period of normalization, the world might instead be only part of the way through an era defined by very slow growth and shaped by previously unthinkable and far-fetched policies to improve things--including an embrace of negative real interest rates in the long term. The good news is that a few bold, even radical policies could shield the global economy from the worst effects of the next downturn. The bad news is that it remains uncertain whether policymakers will use them aggressively enough when the time comes. It isn't difficult to find evidence of just how weak and tentative the recovery has been. In the third quarter of 2015 (the most recent period for which statistics are available), U.S. real GDP was around 13 percent lower than forecasts issued in 2007 (including those made by the International Monetary Fund) predicted it would be. That amounts to a shortfall of $15 trillion. The situation is even worse in the eurozone, where overall GDP grew by 16 percent less between 2007 and 2015 than the same forecasts predicted, ranging from an eye-popping 21 percent less in Spain to a much lower but still significant seven percent less in Germany. Meanwhile, inflation has also fallen below expectations in Japan, the United States, and the eurozone, a sign that weak economic conditions are keeping demand low. And from 2007 to 2014, total global debt (including public and private borrowing) increased by $57 trillion, according to the corporate consulting firm McKinsey, owing primarily to large government deficits. In advanced economies, the ratio of private debt to GDP has leveled off, but government debt continues to rise sharply, which would cause trouble if interest rates were ever to normalize, since debt-servicing costs would then soar. Employment statistics present a more mixed picture, because the postcrisis stagnation has come in two varieties: jobs poor and jobs rich. Southern Europe still suffers from mass unemployment. In contrast, many northern European countries are close to full employment, despite being at the zero lower bound. The same holds true in Japan. Similarly, U.S. unemployment has fallen by half over the past five years or so, to about five percent--an impressive improvement. But unemployment rates alone don't tell the whole story, especially in the United States. Consider that even as unemployment has plunged, U.S. GDP growth has averaged just two percent a year. What is more, the percentage of American adults participating in the labor force has fallen to its lowest point in nearly four decades, which suggests high levels of "shadow unemployment"--large numbers of people who are unemployed and have stopped trying to find work, dropping out of the labor force altogether and thus no longer factoring into official unemployment statistics. That change is not merely the result of demographic shifts, such as baby boomers reaching retirement age; in fact, the proportion of Americans of prime working age (25 to 54 years old) who are currently working is significantly smaller than the proportion of Germans, Japanese, Swedish, and Swiss of that age who are now employed. This suggests that although unemployment may be low, the U.S. labor force is nevertheless underutilized. To figure out how to boost stagnant growth and employment rates, it's crucial to determine whether the global economy suffers primarily from weak demand or from weak supply. The fact that inflation has remained below target rates strongly suggests the problem is weak demand, since if supply were weak, the combination of that and easy money (owing to low interest rates) would have produced much more inflation than has actually occurred. Many governments seem to have overlooked this fact, however, and have pursued remedies better suited to treating supply problems than demand ones. These include labor reforms that make it easier to hire and fire workers and measures meant to introduce more competition into traditionally sheltered sectors of the economy. European governments, in particular, have found such reform programs attractive. In the wake of the crisis, states in the eurozone found it difficult to stimulate growth by cutting government budget deficits; so-called austerity measures did not produce the hoped-for boost in private-sector confidence. And because they all use the euro, countries in the eurozone also could not simply devalue their currencies--a conventional way of dealing with weak demand. So aside from the quantitative easing that the European Central Bank launched last year--flooding the eurozone with money by buying government bonds--few good options seemed to exist for stimulating demand. Hence, some economists and analysts have championed reforms aimed at cutting inefficiencies on the supply side, arguing that such steps will raise expectations for more growth and employment in the long term. The theory, in other words, is that supply reforms can stimulate demand. In practice, however, that has not panned out. Of course, eliminating red tape is useful in good and bad times alike. And there's no doubt that governments can boost demand by making it easier and faster for businesses to obtain licenses, project approvals, and utility grid connections; by ensuring that government agencies pay their bills promptly; and by nudging court systems to resolve commercial disputes more efficiently. Simpler, smarter bank regulations can also encourage growth by making it easier for businesses to borrow, and tax reforms can encourage investment and entrepreneurship. But in the postcrisis period, pro-market reforms have not corresponded with strong economic recovery. Consider three useful measures of supply-side reform: the "product market regulation" scorecard published by the Organization for Economic Cooperation and Development, which ranks countries based on the extent to which their regulatory environments affect competition; the OECD's Employment Protection Legislation Index, which assesses the flexibility of countries' labor markets; and the World Bank's Ease of Doing Business Index. If champions of supply-oriented reforms were right, then high marks on those three indexes should correlate with real growth and recovery. In fact, no such correlation exists. Ireland and Finland had some of the best scores before the crisis, but Ireland went bust, and Finland has stagnated during the recovery. Meanwhile, Greece and Portugal boast some of the biggest postcrisis improvements in all three measures, yet they are suffering some of the worst stagnation in Europe. The trouble is that even if one accepts that demand-oriented problems require demand-oriented solutions, the zero lower bound problem seems an insurmountable obstacle. Should countries suffer another downturn, they would have few ways to stimulate demand. 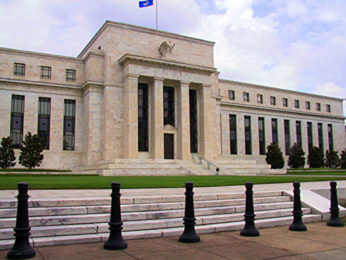 Central banks have already established nominal interest rates at or close to zero, and further quantitative easing might prove ineffective owing to what economists call "the liquidity trap." That condition, which is related to the zero lower bound problem, occurs when an increase in the money supply (such as one produced by quantitative easing) fails to persuade people to spend more because they come to see cash and bonds as equivalent. Consider a scenario in which people were initially inclined to hold government bonds at a yield of just above zero but then find themselves holding more cash because the central bank has purchased their bonds to facilitate quantitative easing. In a liquidity trap, those people don't spend the cash--even though they can, since it is liquid--because they view the cash as being basically the same as the bonds they had before. Should economies fall into that trap, the only way to escape it (aside from a large and thus politically difficult fiscal stimulus) would be to allow real interest rates to fall further, into negative territory, in order to discourage excessive saving and boost investment. Understandably, investors and policymakers dislike such conditions. Negative rates feel strange and somehow wrong: Why would anyone invest in a bond that not only doesn't pay them returns but actually loses them money? Yet the so-called portfolio theory, developed by the economist Harry Markowitz in the 1950s and later advanced by others, shows that under certain circumstances, investors should in fact seek assets with negative expected returns, as long as doing so helps diversify their holdings. That is because at certain difficult times, such as a recession, when stock prices dive, bonds with negative yields can represent a good investment, since the value of other assets might plummet and interest rates might fall even further into negative territory, which would raise the prices of those bonds. But with nominal interest rates already at or near zero, how can central banks engineer sufficiently negative real interest rates? The only way to do so is to create expectations that inflation will increase. If the nominal interest rate is zero and expected inflation is two percent, then the real interest rate equals negative two percent; likewise, at a nominal interest rate of zero, expected inflation of four percent results in a real interest rate of negative four percent. But most central banks have proved unwilling to raise inflation targets, because they have spent most of the past three and a half decades wringing undesirably high inflation from their economies and they worry that setting higher inflation targets would amount to playing with fire. In reality, they are fighting yesterday's war, but such firmly entrenched views and preferences are difficult to overcome. Other factors have also held down inflation. Recent economic growth in developed economies has not benefited all groups equally, and growing income inequality has led many middle-class Americans and Europeans to feel and behave as they would during a recession: saving more, spending less, and thus preventing inflation from rising. Slowing population growth in two major developed-world economic hubs, the eurozone and Japan, has also reduced spending in those places. Meanwhile, in China and other countries with emerging economies, people continue to save a high proportion of their incomes because they fear that government-funded social safety nets will prove inadequate when they retire or should they fall ill. Finally, since the financial crisis, all kinds of investors, including large institutional players such as pension and insurance funds, have shown a preference for safe assets. That has lowered overall demand for investment and added to the downward pressure on inflation. At some point, as older people in developed economies begin to cash out their investments in order to fund their retirement years, spending will increase, which should stimulate inflation. That effect will be offset, however, because by selling assets (houses, stocks, and so on) in order to pay their bills, retirees will push down asset prices, which will have a deflationary effect. With traditional approaches exhausted and so many factors contributing to stagnation, officials need to be ready to consider an array of more unconventional options for protecting the global economy when the next downturn inevitably arrives. The first step would be relatively straightforward: governments should cut taxes and engage in more stimulus spending, including on critical infrastructure, which would help boost demand. But it's doubtful that that kind of fiscal policy would prove sufficient: it's unlikely that governments would be able to overcome political opposition to a stimulus that would add to already high debt levels. So central banks will have to act boldly--for starters, by cutting short-term rates into negative territory. This has already happened in Denmark and Switzerland, where central banks have set rates as low as negative 0.75 percent, and the moves have not sparked panic: there have been no bank runs, and Danish and Swiss citizens have not started hoarding their cash under their mattresses. That said, there is a limit to just how far below zero short-term rates can go--perhaps negative three percent. Past that level, bank runs might become a possibility. Central banks should also take measures, such as more quantitative easing, to reduce long-term rates. But at this point, even another $1 trillion of quantitative easing might not do much. So central banks should also announce interest-rate ceilings for long-term government securities: perhaps a limit of 0.5 percent for ten-year bonds. Setting a ceiling would leave a greater supply of such bonds in the market, because a credible plan for a rate ceiling would itself drive down the interest rate without the central bank having to actually buy many bonds. And during an economic contraction, a greater supply of such bonds would be helpful because uncertainty would likely produce a lot of demand for them. If rates were already very low on long-term securities, central banks could even set negative rate ceilings on them. Another fairly radical step would be to embrace "helicopter money drops," the term that the economist Milton Friedman coined to describe direct transfers of cash from central banks to consumers. Such transfers would likely be more effective than quantitative easing at boosting demand because they would cut out the middlemen--banks--and the need to wait for them to turn bank reserves into loans, which might not even materialize in the face of weak demand for loans. Some would object that such "money printing" would be inflationary. But if deflation were the problem, that effect would be a benefit, not a cost. And should inflation threaten to rise beyond a desirable level, central banks could easily raise interest rates. Central banks should also get over their reluctance to establish higher inflation targets, because doing so is the most logical way to reduce real interest rates. A growing chorus of economists now recommend that some central banks take this step, arguing for a target of around four percent. But that's easier said than done. The economist Willem Buiter rightly worries about central banks "spitting in the wind": setting inflation targets that would amount to little more than empty promises, not backed up by any evidence that demand will actually boom and cause inflation to rise. There is a Catch-22 quality to the problem as well, since a widespread belief that inflation will rise would itself be necessary to reduce real interest rates and so cause a boom. Another problem is that if the inflation targets are not high enough, then real interest rates cannot go low enough to push inflation higher; as a result, the economy would disappoint, and inflation undershoot. Japan faces this risk now. It raised its inflation target to two percent in 2013, but to judge from actual inflation, which has been persistently much lower than two percent over the past few years, it seems possible that Japan did not set the target high enough. Once a central bank picks an inflation target, however, there are things the bank can do to help the economy reach it. Among them is a quantitative-easing debt-buyback program to reduce the government's debt-to-GDP ratio. In the event of a deflationary recession, government debt might rise high enough to create uncertainty, depress confidence, and significantly weaken economic conditions. In the United States, for example, a severe recession could raise government debt to 150 percent of GDP. Japan's government debt has already risen to almost 250 percent of GDP. If central bankers believed that debt reduction would aid economic recovery by boosting confidence, they could announce a plan to explicitly reduce outstanding debt on a permanent basis by purchasing debt equal to, say, 50 percent of GDP over five years, spread equally among securities that matured after six to ten years. As the bonds matured, the central bank would give the proceeds back to the treasury. This would be the equivalent of the treasury not paying back its debt. It would represent a form of monetary financing, which could push inflation expectations up, therefore reducing real interest rates, raising inflation expectations further, and encouraging growth. The perceived downside to this strategy is that the central bank's assets would decline as the bonds matured. Financial markets wouldn't be thrilled, but the benefits of a debt buyback would likely outweigh that cost. A final idea that governments should consider is a "deflation insurance" plan to protect consumers and companies from the increase in their real debts that deflation would cause, even if their nominal, actual money debts did not change. In the event of a severe deflation, consumers and companies would include claims for deflation insurance payments with their tax filings. The government could insist that the payments be used only for debt reduction. Some might object that the companies and consumers with the most debt would receive the most compensation; to address such concerns, policymakers could place limits on how much any one firm or household could claim. Such a plan would cost the government nothing during normal times, because there would be no deflation. And the mere existence of such a scheme would likely lower the risk of deflation, because people would know the insurance exists and so would be less likely to pull back from investing and taking on debt. Sometimes, changes in the global economy require drastic steps. In the 1930s, many countries abandoned the gold standard in order to escape stagnation. And the move worked: the earlier a country made the switch, the faster its economy recovered. A similar dynamic might emerge in the years ahead. Developed economies are recovering from the financial crisis and the Great Recession, but at least two dozen countries face the zero lower bound problem or might soon, and the global economy remains dangerously vulnerable to negative shocks. Eventually--probably during the next downturn--stagnation will force one or a few countries to dig even deeper into the unconventional toolbox. There will be no easy fixes. But armed with new ways to speed growth and a willingness to experiment, some countries will get it right, and then others will follow as success breeds success. Policymakers all over the world should do everything they can to prepare now so they can be early adopters and avoid getting left behind.